RCMP in Alberta are searching for an “armed and dangerous” man who collided with a school bus and stole the vehicle of a woman who stopped to help. 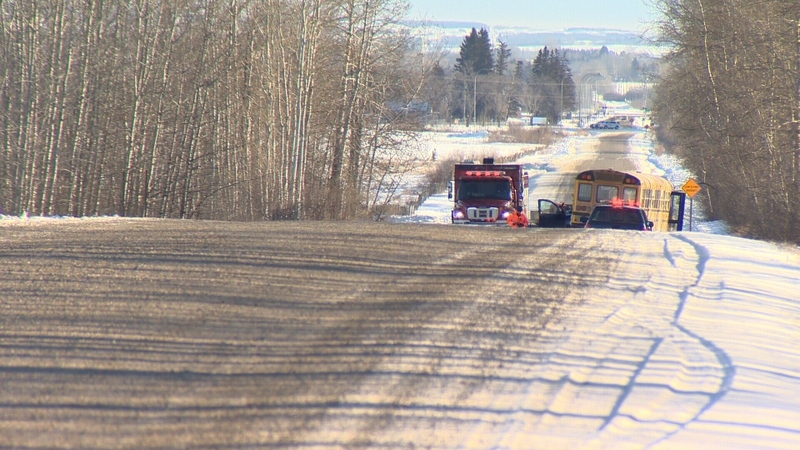 Police in Blackfalds, a community just north of Red Deer and about 150 kilometres south of Edmonton, says they responded to a 9-1-1 call at 8:12 a.m.
A man driving a stolen pickup truck had collided with a school bus carrying seven children from three local schools, according to police. Two children were treated at the scene for minor injuries. A local woman says she was on her way to work in Red Deer when she saw the collision and pulled over. 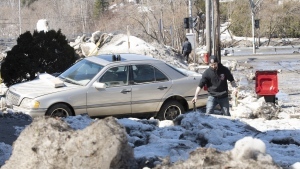 The driver of the truck made a dash for her Mitsubishi Outlander. “He pulled a gun out and pointed it at me and said ... ‘Don’t effin’ think about it,’” said the woman, who gave only her first name, Jenn. The woman says the thief asked her if she needed anything from the vehicle. RCMP Cpl. Laurel Scott said the truck involved in the crash was stolen one week earlier from a Fountain Tire location in Drumheller. She said the truck was also involved in a break-and-enter in Bashaw and a “shots fired incident” in Three Hills in the past week. Anyone who sees the suspect inside the vehicle should call 9-1-1, Cpl. Scott said. The stolen SUV is a silver 2012 Mitsubishi Outlander with the Alberta license plate BNR 6558. The male suspect is described as a Caucasian man who is about 5’11” tall and has dark, wavy hair. He was seen wearing a black skull bandana, a dark jacket with a hood and dark cargo pants. Police are asking anyone with information to contact Blackfalds RCMP at 403-885-3333. Those who wish to remain anonymous can call Crime Stoppers at 1-800-222-8477 (TIPS). 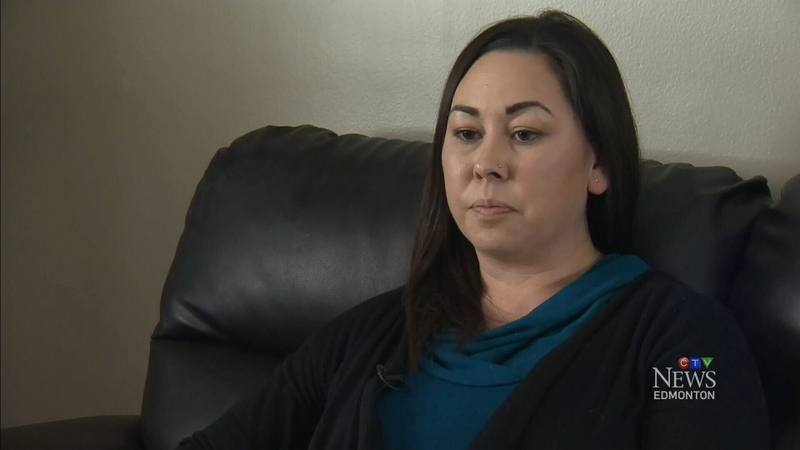 Jennifer, the victim of a carjacking, recalls the ordeal. 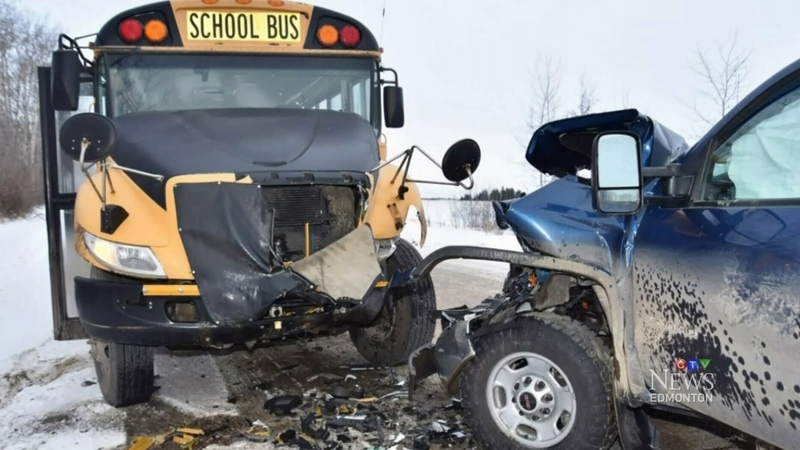 Police are investigating after a stolen truck collided with a bus carrying seven Penhold students Tuesday morning, and the truck driver fled in a second stolen vehicle he carjacked at the scene.